DISCLAIMER:The information provided by Visual Media Concepts, Inc. website, products, and services is provided for informational purposes only, and should not be construed as professional advice on any subject matter. Information is supplied upon the condition that the persons receiving same will make their own determination as to its suitability for their purposes prior to use. In no event will Visual Media Concepts, Inc. be responsible for damages of any nature whatsoever resulting from the use of or reliance upon information from the products or websites which the information refers. The content of this product and website contains general information. Visual Media Concepts, Inc. expressly disclaims all liability in respect to actions taken or not taken based on any and all of the contents of our products and website. A neuroma is a painful condition, also referred to as a “pinched nerve” or a nerve tumor. It is a benign growth of nerve tissue frequently found between the third and fourth toes. Get advice on how to care for your feet, including how to select the perfect shoes for a variety of activities and how to get a pedicure safely. These helpful pointers are sure to keep you and your family in step with good foot health. You may be doing a lot of walking, dancing, standing and sitting in one position throughout the holiday season. Learn how to care for your feet so they can carry you through all those seasonal celebrations and chores. It's important to take care of your feet all winter long. 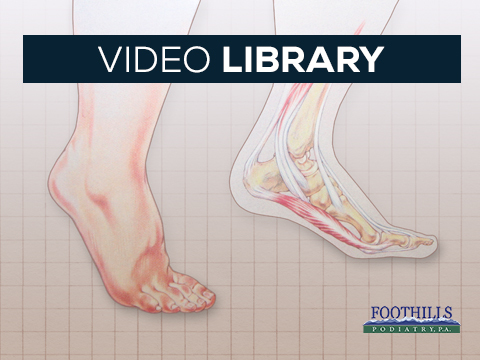 Get tips for keeping feet healthy in several common winter scenarios. This tip sheet will help you avoid a beach blunder this summer by addressing all your footwear woes. Good physical balance can help older people avoid the debilitating and potentially life-threatening complications of a fall. Follow these tips to select shoes to improve your balance. Sport-specific shoes can really affect the way you play. Avoid some serious pain and raise your game by checking out the best shoes for each sport. Advice for teens on how to get great fitting shoes. One of the first steps to healthy running is wearing supportive running shoes. APMA has information which might help determine which athletic shoe is right for your foot type.